Chrome’s user base “more than doubled” in the past year with browser uptake increasing from 70 million to 160 million thanks to Linux, Windows, and OS X versions of the browser finally reaching parity. Google is touting speed and security as their major priorities with each Chrome release. Google plans major improvements over the next few months including speech support built into the browser as well as more developer APIs to improve user interaction. 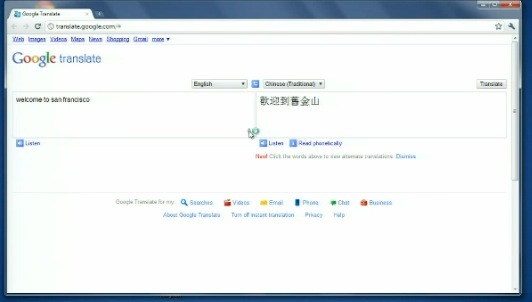 Speech systems, for example, will allow you to use Chrome to translate speech in real time. They’ve also improved HTLM5 rendering (they were able to get about a thousand fish floating in this test at Microsoft). It also features improved WebGL support.